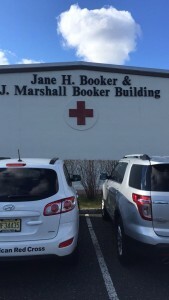 “Everybody is a living document.” This is one of the key teachings from my training on Disaster Spiritual Care with the American Red Cross on Friday. In essence, this teaching emphasizes how everyone’s unique story is a something important to listen to, how it is a “document” worthy of being “read.” This is especially the case when working with someone who has just experienced trauma from a hurricane or a terrorist attack. While there is the story of the tragedy that we hear in the news, there are the stories we don’t hear from survivors who collectively add their own “document” to the complicated, tragic, heroic, and utterly human narrative that makes up the real story of a tragedy. These documents need to be read, these people need to be heard, and when we offer ourselves as listeners and readers to their story, we become spiritual care providers. As I was learning about the concept of a living document I couldn’t help but think of a teaching I’ve emphasized throughout my time at Beth Mordecai: that we all have a #UniqueTorah to share. The story of our lives offers a critical teaching that needs to be heard, and we shouldn’t overlook the importance of a single person’s “Torah” because their Torah is part of the living Torah of the Jewish people. This idea of Unique Torah or a Living Document is also important when dealing with important questions surrounding interfaith families. As our families blend together with different spiritual and religious traditions, we may struggle on how to understand the influence of other traditions on our families. Do we separate ourselves from their influence? Do we ignore any religious tension and focus on the family? Or is there a way to understand how the influence of another faith can be positive for our families? There is no clear answer to these questions, but I believe there is a clear path: to listen, to imagine that everyone in our family has something unique to teach us, that everyone has a personal narrative that affects the family they are buildingand the family they are influencing. Our job is to offer ourselves as listeners and readers of everyone’s personal narrative. And when we do, we’ll create a beautiful Unique Torah and Living Document that is worth reading and understanding.